Scroll down for Partner Agency Conference materials from 2015, 2016 and 2017. Description: CTFB Staff members and special guest Dr. Malini Natarajarathinam from Texas A&M University will talk about some initiatives being put into place at a few of our partner agencies. They will be joined onstage by a partner who has been involved in these exciting new initiatives to share how it has impacted their ability to provide more than food. Description: About half of all American adults have one or more preventable chronic diseases, many of which are related to poor quality eating patterns and physical inactivity. With the number of meals cooked at home on the decline, many people are missing out on learning basic cooking skills. To many, cooking can seem daunting, but with a bit of education, anyone can throw together a healthy meal on a budget. Join registered dietitians from the Food Bank’s Community Health and Nutrition Team in an interactive session geared towards training your most committed pantry volunteers on how to teach their own healthy cooking demonstrations using items often found in their food pantries. These cooking demonstrations will arm clients with the skills to cook healthy meals at home. This session will include a live cooking demonstration and time to discuss ideas about how this could work in your pantry. No matter how far, we will come to you and teach you the skills and confidence to conduct your own cooking demonstration for your pantry clients. Come ready to discuss and sample a delicious and nutritious recipe! 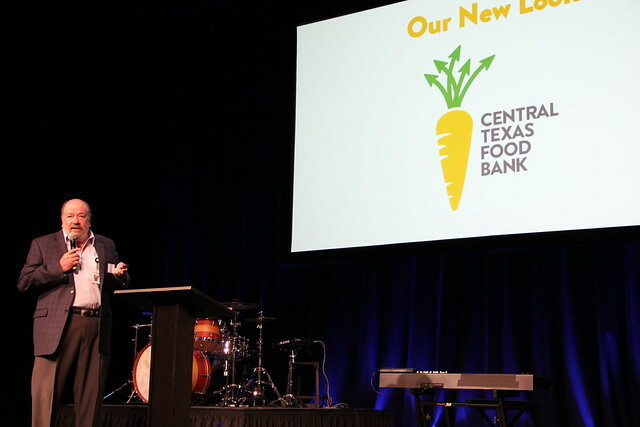 Description: Join the Central Texas Food Bank Community Engagement team as we discuss ways to effectively recruit volunteers, from youth groups to corporations, and provide an experience that makes them excited to return! Volunteers are key when fighting hunger in Central Texas so we will cover ways to get creative with resources, recruitment, and tips to retaining your volunteer base. Description: Better Living for Texans (BLT) is a nutrition education program for adults and children that are SNAP participants and SNAP eligible. The BLT program helps people make healthy meals, improve their physical fitness, save money at the grocery store, grow their own foods, and adopt better food safety habits. As a part of the Texas A&M AgriLife Extension Service, we provide research and evidence-based nutrition, health and wellness knowledge to empower individuals, families, and communities to make positive changes for healthier lives. In this session, a panel of AgriLife staff will share how BLT helps families make better choices with their limited resources. Description: Everyone loves a great story! Stories of success are important tools for motivating communities to act on behalf of clients and empowering clients to move toward self-sufficiency. In this session, participants will explore and develop methods of gathering and sharing stories that can lead to greater support for your organization and your clients. Description: Using (mostly) free tools and building unique partnerships can change the opportunities open to your food pantry, both in services offered and in funding available. Learn about what local pantries are doing and other examples of great work with limited resources. We will go over local data and some tools that may work for you. This will be an interactive session, with practical advice offered by, Jen Searight, ReThink Hunger Program Manager at Hill Country Community Ministries. Description: Join immigration experts Alexandra Minnaar, Managing Attorney at RAICES, and Cristina Parker, Immigration Programs Director for Grassroots Leadership, for a deep dive into how recent changes to immigration policy has altered our neighbors access to emergency food assistance and SNAP resources. There will be time to discuss how immigration policy is affecting your site and Iliana Gilman, Chief Executive Officer at El Buen Samaritano, will share with the group how her local Austin food pantry has been facing these challenges. Presentation, Feeding America Know Your Rights Flyer, ILRC SB4 Community Advisory and NILC Advisory on Immigrants and Public Benefits. Breakout: Food Sourcing; What's Your Plan? 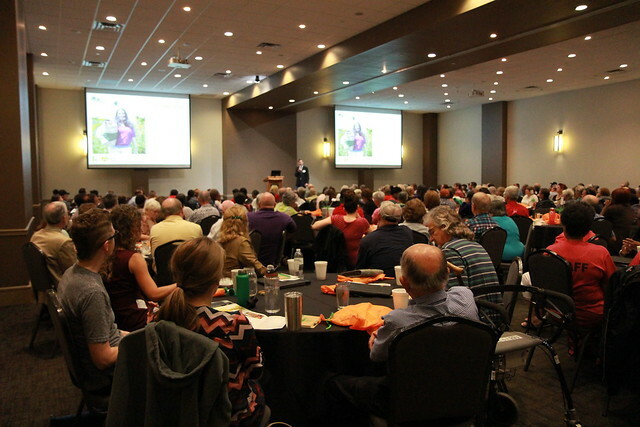 County Coalitions: Hear from the McLennan County Hunger Coalition on how they have been successful in forming a diverse community action group to address hunger in their count. View the presentation. How to make the most of your CAFB partnership: CAFB Social Service Outreach team will present on how to engage clients better in SNAP outreach and become a SNAP advocate. Hear from two CAFB Partner Agencies, Abiding Love Food Pantry and The Caring Place, on how they have successfully partnered with CAFB’s Social Services Outreach team. View the presentation. View the SNAP Ambassador Letter. View the SNAP Informational Handout. Food Sourcing and the Food Supply: From Macro to Micro and Everything In Between: This presentation will cover the current state of the food supply at CAFB, future trends, and food sourcing methods and strategies for individual partner agencies. View the presentation. Shortening the Line through Advocacy: What is advocacy, and how can it help your agency? Feeding Texas will discuss how the Texas food banks work together as a network to advocate for issues. Kathy Green, CAFB Senior Director of Advocacy and Public Policy, will present on how your agency can benefit from taking a role in local advocacy efforts. View the presentation. Collaborating with Community Partners: Most of our clients face more than just hunger when they walk through our doors. Hear from CAFB Partner Agencies, Hill Country Nazarene Church and Helping Hands Belton, that are going the extra mile to address the health and financial stability of their clients through community partnerships. View the presentation. Break out of the Fundraising Funk: Learn how CAFB Partner Agencies that have built fundraising strategies unique to their organization to expand their food distribution operations. View the presentation. Connect Your Clients with Quality Referrals: How to make quality referrals for basic needs assistance. Amy Price from United Way 2-1-1 will speak on how to use their services as a resource for your clients. CAFB will provide helpful resources for starting the conversation to connect clients with much-needed resources. View the presentation. Storytelling for Change: Want your community to know more about all the amazing things you do? Learn best practices for raising awareness and gaining valuable support for your organization through effective outreach. Hear examples of great storytelling from CAFB Partner Agencies and CAFB Communications Specialist Marivel Resendiz. Get tips on how to pitch your news to the media. Explore tapping clients to help you tell your story and learn effective ways to use statistics and facts to drive new volunteers and donors to your doorstep. View the presentation.